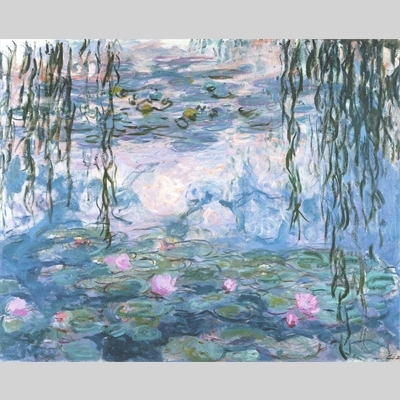 Jim Caldwell, artist and architect, will present a 45 minute presentation about Claude Monet. The presentation was inspired by the exhibit, Monet, the Early Years, at the Legion of Honor last Spring. Jim explores Monet’s exquisite style as it changes during his 65 year career, from his early depiction of clouds and reflections to his wonderful Giverny paintings. After winning his high school Art Prize in 1960, Jim Caldwell went on to major in Art at Williams College. He spent the year following graduation at the Ecole des Beaux Arts in Paris. He traveled extensively, doing watercolors, drawings and paintings. He returned to the U.S. for graduate school at Yale, where he received his Master of Architecture Degree in 1969. Jim has had almost 50 solo shows and participated in almost 50 group shows. His paintings appear in over 430 private collections. Born in New York in 1942, he has spent most of his life in the Bay Area. He divides his time between painting and residential Architectural Design at his studio in Woodside. He teaches Painting and Drawing at Filoli, in Woodside.